General Minihan retired from the U.S Air Force (USAF) as a Lieutenant General in 1999 after thirty-three years of active service. During his final tour of duty he served as the 14th Director of the National Security Agency (NSA) / Central Security Service, a combat support agency of the Department of Defense (DoD). He also served as the Director of the Defense Intelligence Agency (DIA). Throughout his career, Gen. Minihan received numerous awards and commendations for outstanding performance including the National Security Medal, the Defense Distinguished Service Medal, the Bronze Star and the National Intelligence Distinguished Service Medal. He led the NSA to recognition as a Baldridge and Presidential Quality Award finalist. Throughout his career, Gen. Minihan gained extensive experience in large, complex global and national information operations, information technology (IT) deployment and customer requirement satisfaction. While the Director of the NSA, he helped conceive and provide strategic direction to the National Information Assurance Program. He created strategic approaches and development concepts for emerging telecommunications technology while redesigning core business skills and efficient operations. He has the ability to integrate complex programs and business operations organizations to focus on cost and schedule goals. After retirement, Gen. Minihan joined the private sector as a Managing Director for the Paladin Capital Group. 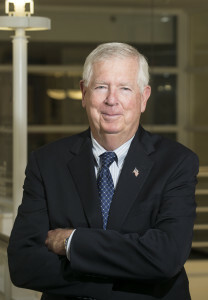 He is a past President of the Security Affairs Support Association and a Founder of the Intelligence and National Security Alliance in Washington, D.C., the flagship organization for industry, government and academia to enhance effective intelligence development. He is also a member of the Air Force Association and serves on a number of public and private boards. He often serves on government pro bono committees and panels to examine ways to enhance homeland and national security capabilities. Gen. Minihan holds a Baccalaureate Degree from Florida State University, a Masters Degree from the Naval Postgraduate School and has completed executive development programs at the University of Illinois and Harvard University.